Farrah Durante is an actress who used to be in a hit TV sci fi series. Now a middle aged mother, she finds that the roles have dried up and she is about to be dumped by her agent. When she takes a swim at the beach to clear her head something that was lurking in the water creeps inside her mind. The demon, if that's what it is, offers her the opportunity to have her revenge on the people and the industry that have wronged her. This kind of glitter does not feature in the story. Image from Wikimedia commons. Glitterbomb is created by Jim Zub (of Wayward and Figment), Djibril Morissette-Phan and K. Michael Russell. I was intrigued by the cover art, and the art inside didn't disappoint me either. The story on the other hand I felt was a bit derivative and lacking something, though I couldn't work out quite what. 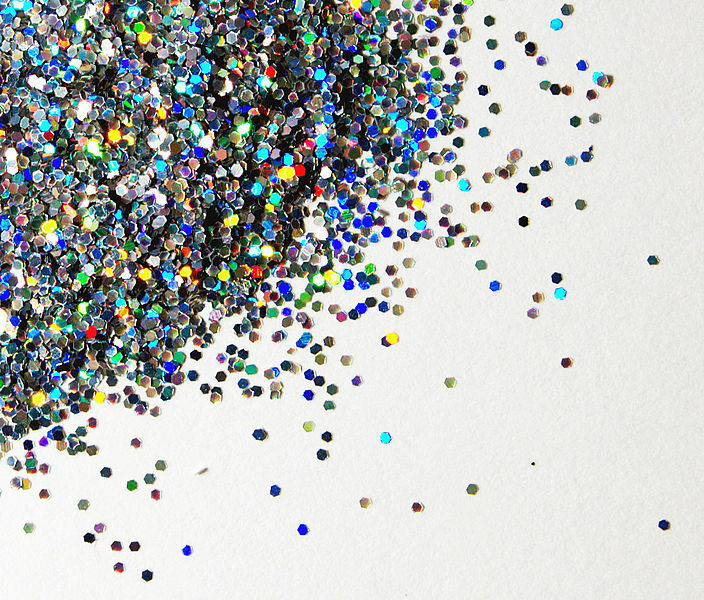 Glitterbomb is an attack on the culture of Hollywood - its phoniness and tendency to chew people up and spit them out. It's not exactly a new theme (I'm reminded of the 2016 thriller Neon Demon and its take on the fashion industry), but it's dealt with pretty well. It also deals in particular with harassment and bullying within the industry, making it a timely story in the era of the #MeToo movement. The book includes an essay from Holly Raychelle Hughes in which she accuses director Alexander Payne of sexual harassment during the making of the 1999 film Election. Glitterbomb: Red Carpet is the first volume, which collects issues 1-4 of the comic. 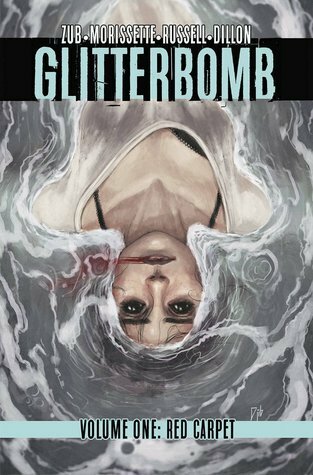 I was surprised that there is more after that, since it seemed to be a self-contained story with a satisfying ending, but there is a second volume, Glitterbomb: Fame Game, which is about Kaydon Klay, Farrah's teenage babysitter, who desperately wants to be famous. Glitterbomb is very creepy, and there is a lot of gore (exploding heads etc). There is also some strong language. It's not the most original concept, but it is well executed. It's a story of revenge and the cost of fame, among other things, and will probably appeal to horror fans.